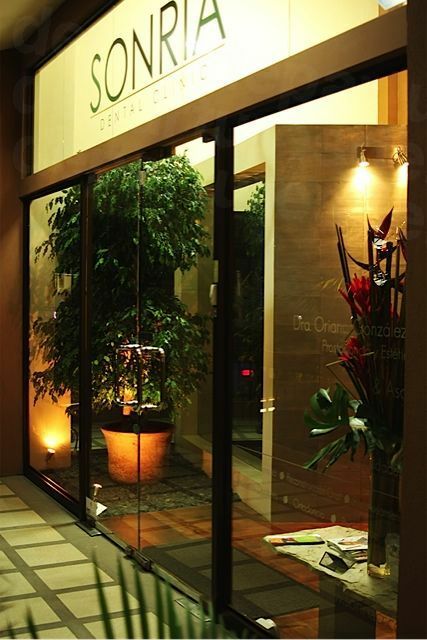 Treat yourself to upmarket dental care at down-to-earth prices by booking with any of our Escazu dentists. 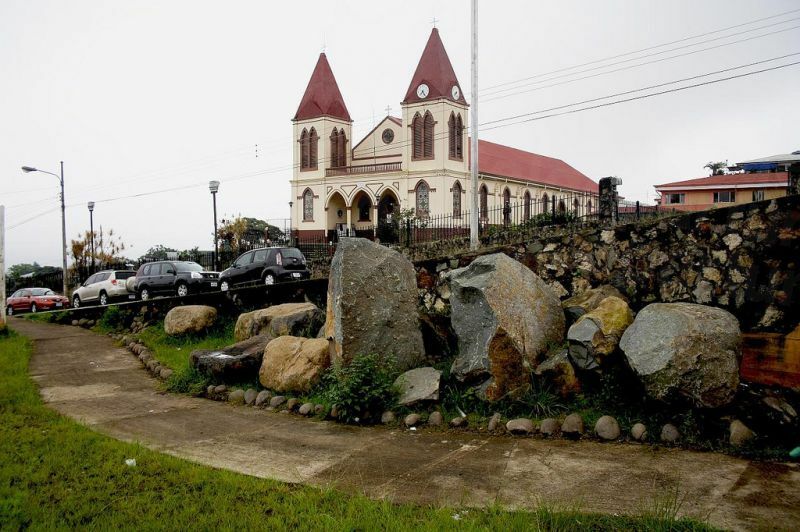 The most developed and closest of these neighborhoods to San Jose is San Rafael de Escazu . This trendy outer suburb of San Jose, Costa Rica’s capital, has all the facilities and amenities of downtown but with a much more upscale easy-going vibe. Like the Beverly Hills of California or Brooklyn of New York, you’ll find chic restaurants, hip boutiques, and plenty of bustling bars dotted around the area’s handful of neighborhoods, each with their own individual charms. The Central Plaza, with its colonial white church and the Plaza Colonial shopping center, is a hub of activity bursting with international restaurants and fancy condos. Walking through town, you can’t fail to notice the homes and businesses decorated with flowers and plants, or the large English-speaking expat community that resides here . Costa Rica is known for its lush green landscapes, and the hills north of Escazu promise some of the best. Magnificent views across the valley and town down below can be enjoyed from these elevated positions, while hiking trails and the Escazu Hills Sanctuary are well worth exploring as well. These northern hills are also home to a luxurious spa/casino - ideal for a bit of rest and relaxation during your dental holiday. Dental patients looking for that big city buzz with enough amenities, but without the frenetic pace, will find Escazu suits them perfectly. Escazu is in Costa Rica’s Central Valley, around 4 miles (7 kms) southwest of San Jose. 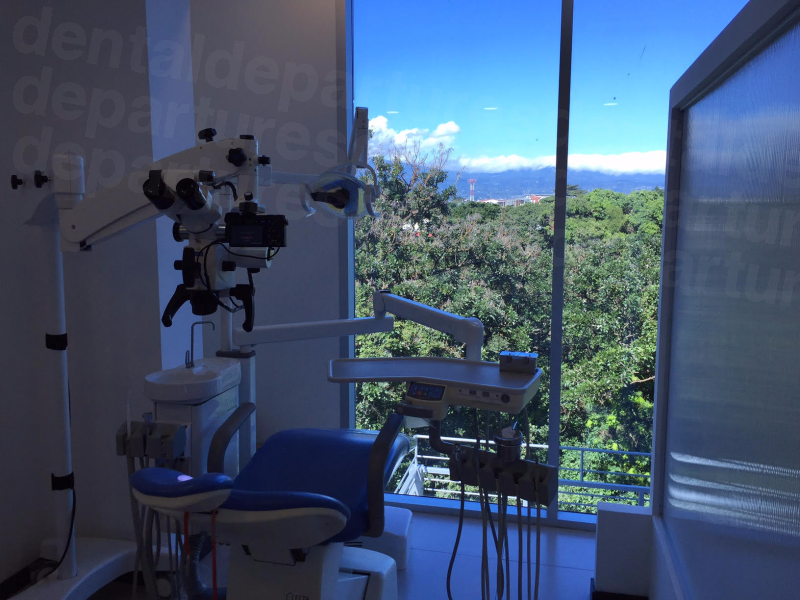 Why Visit a Dentist in Escazu? One of the many benefits of traveling to Costa Rica, particularly for American and Canadian dental patients, is its close proximity. Frequent flights can be found relatively cheaply (especially if you book well in advance) from across the US and Canada to various points in Costa Rica, although San Jose is still the most popular destination. 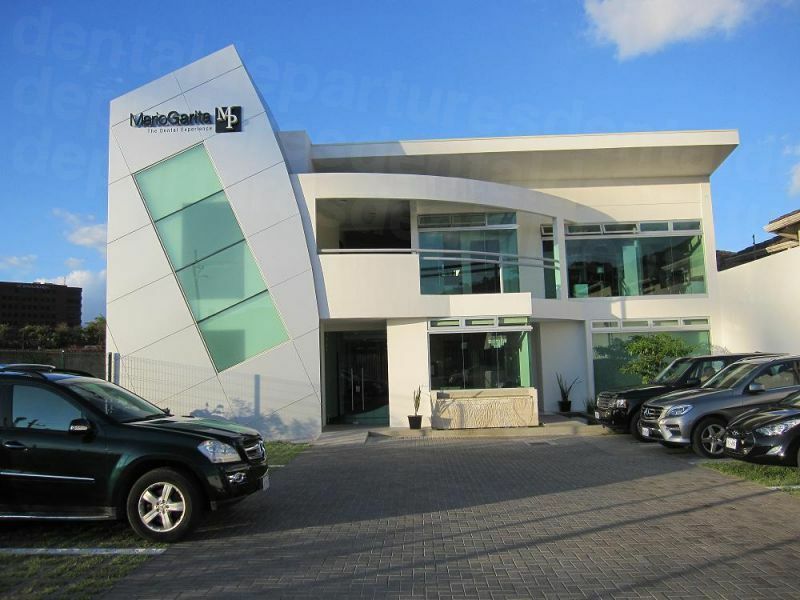 A short taxi ride from San Jose’s international airport will bring you into Escazu with minimum fuss. 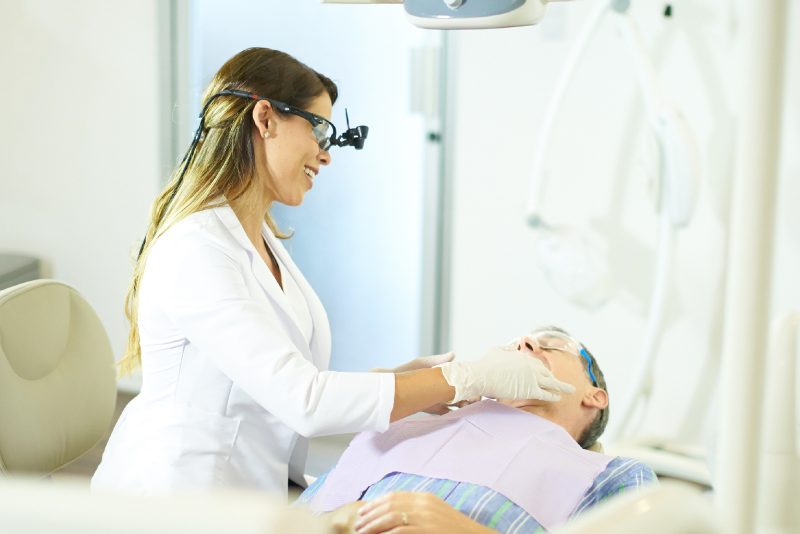 For some patients visiting dentists in San Jose , particularly those that may require multiple visits, journey time and ease of access could well be important factors. Dental expertise and know-how is another big consideration when traveling abroad for treatment. Costa Rica may well have a laidback air about it but there is nothing nonchalant about its dental and medical services. 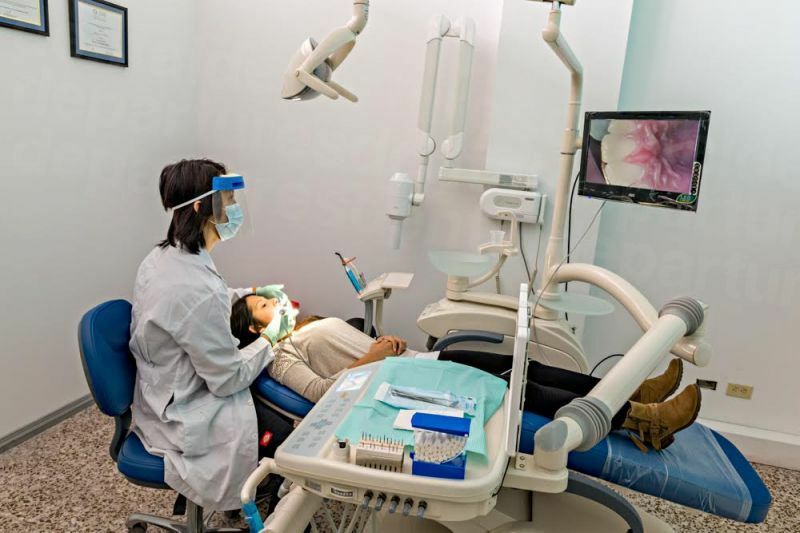 Looking at the wider healthcare infrastructure, the country boasts a number of prestigious JCI-accredited hospitals , as well as ultra-modern dental clinics thousands of US, Canadian and other international patients are flocking to every year. Just like other Central American countries, many dentists here undertake specialist training in America and have professional membership of the American Dental Association, as well as international organizations, such as the International Congress of Oral Implantologists. Escazu has all the modern conveniences any 21st-century traveler would expect, making your day-to-day experience all the more enjoyable. Fantastic weather and a variety of fun activities make this a great place to visit , be it for dental care, a vacation – or both. Dental Tourism in Costa Rica - What Does it Cost? While the facilities and care are more than a match compared to those at home, Costa Rica’s main draw for dental tourists is its prices. For certain procedures, savings can average around 70% less than in the US. A good number of international hotel chains in Escazu can be found, as well as luxury boutique and independent hotels. Whether you are wanting to stay in the center of town or up in the hills – there is a good choice, no matter what your preferences are. Many of our dentists also offer discounted or free accommodation options, depending on the nature of your treatment. Check out the listings of each clinic on our site or speak to our Customer Care Team for further information. Yes – there are no US governmental advisory warnings for Costa Rica and it is generally considered a very safe place to visit for all nationalities. The quality of care in Escazu’s best clinics is as good as would find at home, providing you do a little research. Dental Departures undertakes a number of processes to ensure our dentists are certified, reliable and up to the job, so you are assured of an all-round quality experience. 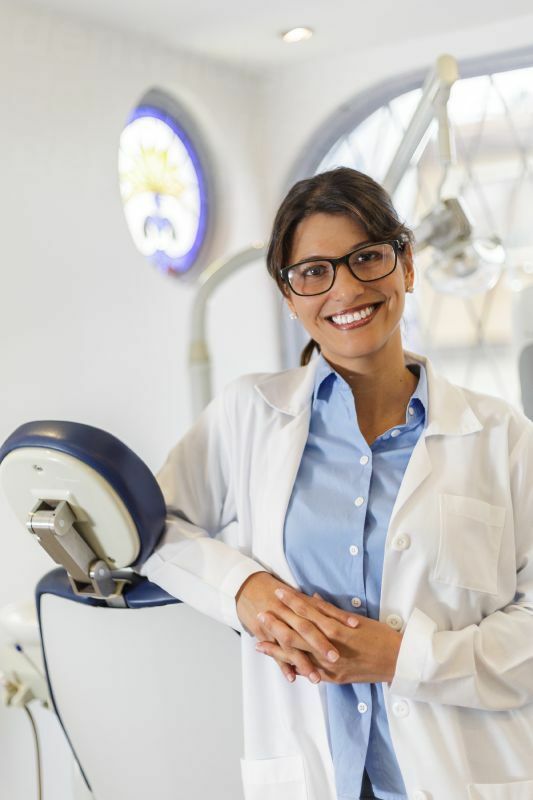 Our background checks include dental license verifications – all dentists must be licensed to practice – and we list qualifications on our website. We also provide high-resolution photos of the clinics and ask patients to provide reviews of their experiences. We publish all of these reviews – both the good and the bad (fortunately there are very few of the latter) – which you can read for yourself on our site. We provide as much information as we can so that you can decide for yourself if a particular dentist or clinic is right for you. Of course, we are always happy to answer any questions you may have and our Customer Care Team are always happy to help, no matter what your question. All of our verified dentists throughout Costa Rica provide guarantees on the work they carry out, as well as on any materials used; that includes dentures, crowns, veneers and other prosthetics you may have fitted. The length of these guarantees varies from clinic to clinic, and also depends on what work you are getting done, but you can find out the exact details on the clinic listing on our site, or give our Customer Care team a call. Should there be a problem with your dental treatment, your dentist in Escazu will remedy it free-of-charge. However, if you are concerned about the cost of travel and accommodation expenses (in case you do need to return to your dentist), we have also partnered with insurance providers who can insure against these costs for a low premium. For your complete peace of mind you may wish to consider this option - especially if you are having major work done that requires several trips. 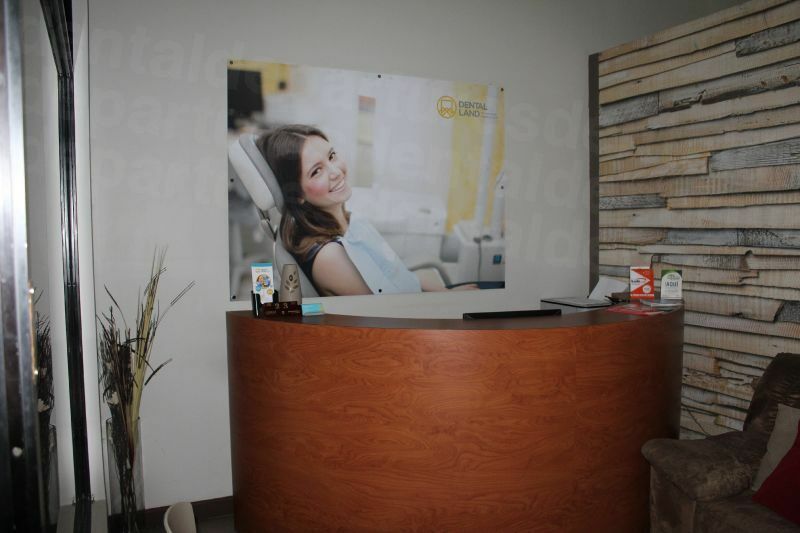 Our dentists in Escazu are English speaking and additionally, Escazu has a large expat community so English is widely spoken throughout the city. US cash is accepted by our dentists but you will find which other payments are accepted by each clinic by checking the individual clinic listings on our website. Personal and travelers checks, bank transfers and debit/credit cards are accepted widely, but there may be a small processing fee of between 3-4% for credit card payments. It is unlikely that your dentist in Escazu will be able to accept US or Canadian dental insurance. It is worth checking with your insurance provider as to whether they allow for ‘out-of-network’ expenses as you may be able to reclaim the costs when you go home. Be sure to obtain the appropriate paperwork and documentation from your insurance company to bring with you to your dental appointment. Our dentists are open all year round. The weather is temperate throughout the year , which means you can take advantage of off-peak discounts on accommodation and air fares. Peak times tend to be from December through April. Some parts of Escazu are wheelchair friendly and other parts are more difficult. You will find plenty of wheelchair-friendly hotels and the new US-style shopping malls are easy to navigate in a wheelchair. Some of the narrow streets around the city may be more problematical with a lack of sidewalks. All our listed clinics are wheelchair accessible, and some offer complimentary pick-up services. Just speak to one of our Customer Care team to discuss your requirements in more detail – we can always find a way to get you to one of our dentists. Tico’s are generally laid back people and things may take a little longer than they do at home. Learn to relax, and go with the flow, and if you are on a tight schedule, our Customer Service team can work with the clinic to help move your treatment along. The bus system in Escazu is clean and reliable, providing an easy and inexpensive way of getting around the various neighborhoods, as well as into the more built-up San Jose. In Escazu Centro you’ll find most of the things you need, as well as other gems, such as the Butterfly Kingdom - an oasis with friendly, knowledgeable staff and many different species of butterflies. Discover fascinating facts about their lifecycle and surround yourself with a rainbow of color in the butterfly enclosure. If shopping is one of your favorite pastimes, Escazu Centro has you covered – and you can shop ‘till you drop in huge malls like the Multiplaza; check out fresh produce at the Saturday morning Farmers’ Market in the center of town or visit workshops such as Biesanz Woodwork where you can see traditional craftsmen at work, pick up some souvenirs in the art gallery and relax in the surroundings of the botanical garden. Sports and recreational facilities, including bowling, swimming, tennis, a gym and a golf course can be found at the Costa Rica Country Club, as well as several bars and restaurants. Escazu’s valley location means that the natural surroundings – while providing awe-inspiring views – also offers a host of activities and adventures for all ages and abilities. Adventure tourist companies focusing on eco-tourism and wildlife observation create unique experiences for travelers to discover Costa Rica’s flora, fauna and beautiful countryside. One of the most popular activities in the area is whitewater rafting on the Pacuare River, with trips from aged 14 years and up for beginners to the experienced. The nearest international airport is Aeropuerto Internacional Juan Santamaria (SJO), just north of San Jose in Alajuela and around a 20-minute drive away from Escazu. Car hire: You don’t need a car in Escazu but if you want to see more of Costa Rica it is generally a pleasant way to get about, save for San Jose which is overcrowded with difficult parking. Driving in Costa Rica is reasonably safe and you’ll find most major car rental agencies based in San Jose. Buses: Cheap and plentiful and from San Jose traveling to pretty much anywhere in the country. Taxi’s: A reasonable option for getting around, but most aren’t metered so it’s best to negotiate your fare in advance. 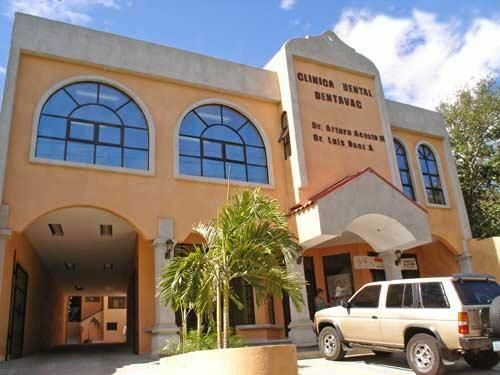 Use our online system or call our toll-free number to book an appointment with one of our dentists in Escazu. If you have any questions, or want to discuss your arrangements, our Customer Care team are always here to help. San Rafael de Escazú, San José. Go Visit Costa Rica. Website accessed: 13 March 2019. Hospitals in Costa Rica: The Three Top Rated. We Love Costa Rica. 26 February 2018. Find the Best Things to Do in Escazú. LaMonica, Sophia. 10 Best. Website accessed: 13 March 2019. Zhao, Jing; Wang, Xinzhi. Dental Prostheses. Advanced Ceramics for Dentistry. 2014. Best Times to Visit Costa Rica. US News. Website accessed: 15 March 2019.